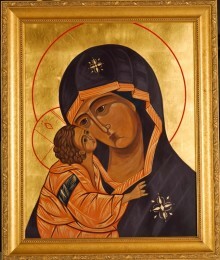 Meet internationally recognized iconographer, teacher and author, Debra Korluka. Debra will discuss the history of iconography and her own spiritual and artistic practices within this sacred art form. She’ll also demo the materials she recommended for our Custom Iconography Set and tell you about the Iconography classes she teaches in the Twin Cities.